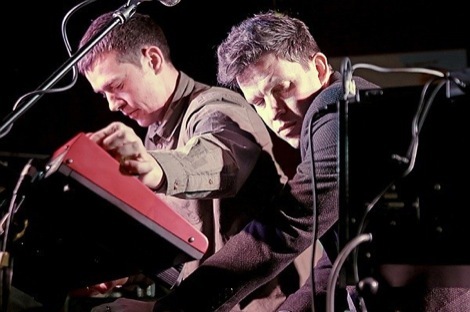 GIT Award winner to play Ono-curated Meltdown at London’ Southbank Centre as Jayne Casey and Neil Atkinson announced to compere Leaf showcase night on Friday April 19. Yoko Ono has invited the winner of the GIT Award 2013 to support her Plastic Ono Band at Meltdown 2013 – the 20th anniversary of the Festival. 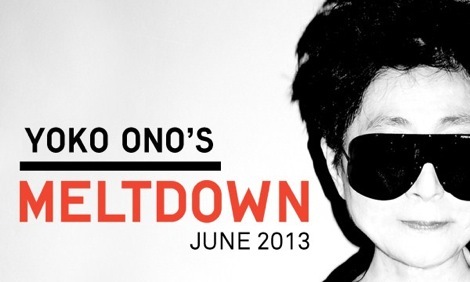 Ono, artist, peace activist, musician and widow to John Lennon, has invited the winner of the GIT Award 2013 to play at her Meltdown-curated festival at London’s Southbank Centre. The winner joins Yoko’s personally curated festival bill which includes Iggy Pop, Siouxsie, Patti Smith, Marianne Faithful, Boy George, Savages and the Plastic Ono Band who will play John and Yoko‘s Double Fantasy with special guests – the first time the album will be performed live. 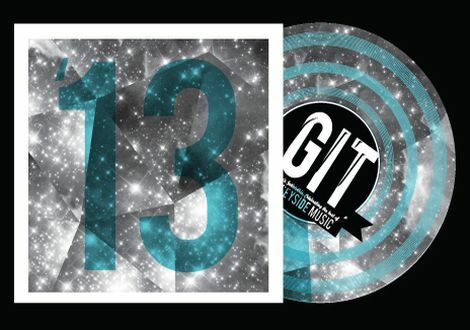 The winner of the GIT Award, will be revealed from the carefully selected 12-strong shortlist of exciting emerging Merseyside acts on Friday April 19 at Leaf on Bold Street. 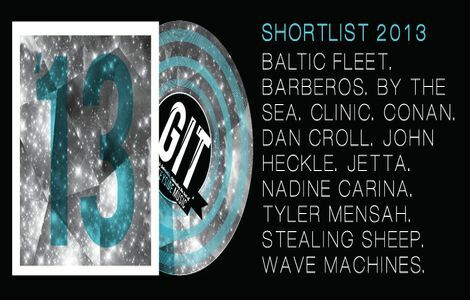 The shortlist of Liverpool’s premier music prize is: Baltic Fleet, Barberos, By The Sea, Nadine Carina, Clinic, Conan, Dan Croll, John Heckle, Jetta, Tyler Mensah, Stealing Sheep and Wave Machines. Yoko, who celebrates her 80th birthday and joins previous Meltdown curators David Bowie, Jarvis Cocker and Nick Cave, said: “One of my hopes for Meltdown is that people will discover new musicians and artists – the GIT Award artists represent artists of the future. And of course I was very keen to have a new artist from Liverpool! 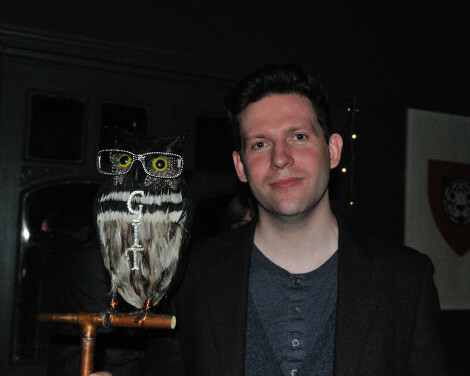 GIT Award founder and chair of judges, Peter Guy, said: “The GIT Award is only in its second year, yet to have Yoko Ono inviting one of the prizes’ shortlisted artists to play alongside her is remarkable news for all involved. “This is the reason why the Award was created – to show people what superb musicians are on our doorstep – and help spread their music across the world. 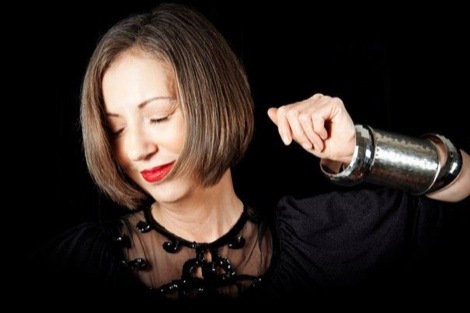 Meanwhile, the comperes for this year’s GIT Award showcase at Leaf on April 19, are artist, musician and culture guru Jayne Casey and film-maker and the voice of the Anfield Wrap, Neil Atkinson. Casey is co-founder of Cream, musician with the likes of Big In Japan and Pink Industry, and the artistic director for Liverpool’s Capital of Culture. Atkinson, director of indie short ‘Pro’ and co-founder of the Spirit Of Shankly, is the voice of the Anfield Wrap; Britain’s second most popular podcast which specialises in football, culture and music. Since its relaunch in November 2012 up until the closing date at the end of February 2013, the GIT Award received more than 380 entries. The shortlist was then decided by a 12-strong judging panel comprising respected music industry figures including BBC 6 Music presenter and son of John Peel, Tom Ravenscroft, the editor of rock and pop music bible Q Magazine, Liverpool-born Andrew Harrison , Matt Wilkinson, NME‘s new music editor, leading UK music website, The Quietus‘ editor, John Doran plus the cornerstones of Liverpool’s music and arts scene. Andrew Harrison, editor of Q, said: “This is a genuinely impressive and varied shortlist proves that Merseyside continues to generate fantastic musical talent like nowhere else on earth. The standard of entries was high across board and in common, I suspect, with a lot of the judges, I found the decision-making process very hard. The industry showcase evening at Leaf, which also played host to last year’s ceremony, is strictly invite only and will include performances from the shortlisted artists. Live visuals, videos and mementoes for each nominee will be created by Liverpool design agency Milk:Presents while former Liverpool Art Prize nominee Jayne Lawless will create two specially designed awards for the winners of the GIT Award 2013 and The Inspiration Award. 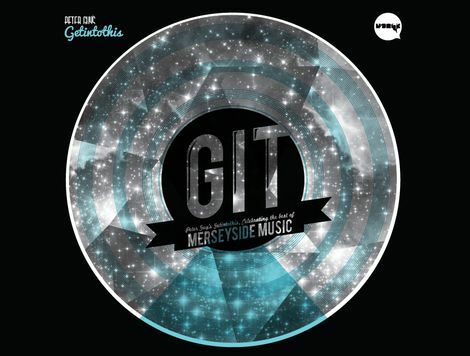 In addition a ‘People’s Choice’ online poll consisting of the 12 nominees will be hosted on Bido Lito!, Getintothis, Juice FM and Seven Streets allowing the public the opportunity to have their say on Liverpool’s finest music of 2012-2013. For news of this, pick up Bido Lito! on Thursday when the new edition hits the streets on Thursday.